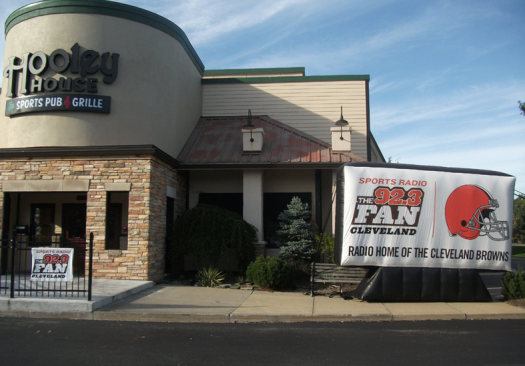 The Hooley House in Westlake holds a special place in my heart I recently just started working there around January. I not only work there but my sister works there and she’s worked there for about two years. It’s a great place every week there is something going whether it’s a sporting even, trivia, sometimes we even have 92.3 radio come in and have their talk show there sometimes with a Brown’s players, trivia is usually every Wednesday night and we usually have bands on the weekend and we have a lot of Irish bands that play. The food here is so delicious you can never go wrong with what you get, some of my favorites from the Hooley House are the mac and cheese bakes there is a buffalo chicken bake, taco bake, and regular mac and cheese. Some more of my favorites are the chicken quesadillas, Hooley Reuben, the Hooley Cuban, our wraps and soup are very good and our Fried Chocolate is the best desert we have! We have different soup specials for different days of the week. We also have a great happy hour menu Monday-Friday 11 a.m.-7 p.m. it offers different drinks and food combinations for cheap. And we have all day Hooley Hour for different day of the week specials. Everyone at the Hooley House is so friendly and are such hard workers, everyone tries to make your stay special when you come here. Service is fast your servers are always checking up on the customers. If you have a taste for some good cheap Irish food go to the Hooley House in Westlake.